The Blue Fringe Pouffe brings texture, colour and a subtle pattern to any room. The large pouffe has a blue, white and grey palette with brighter blue tones standing out against the light, washed grey. A Moroccan-inspired pattern runs throughout with the same washed finish, creating a softer take on intricate patterns. 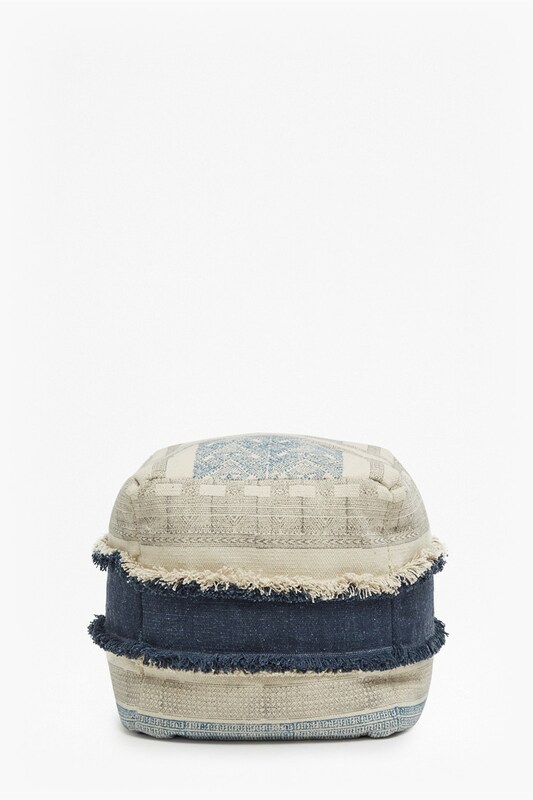 With large fringing framing the square pouffe, this soft piece is a pretty accessory for your home.